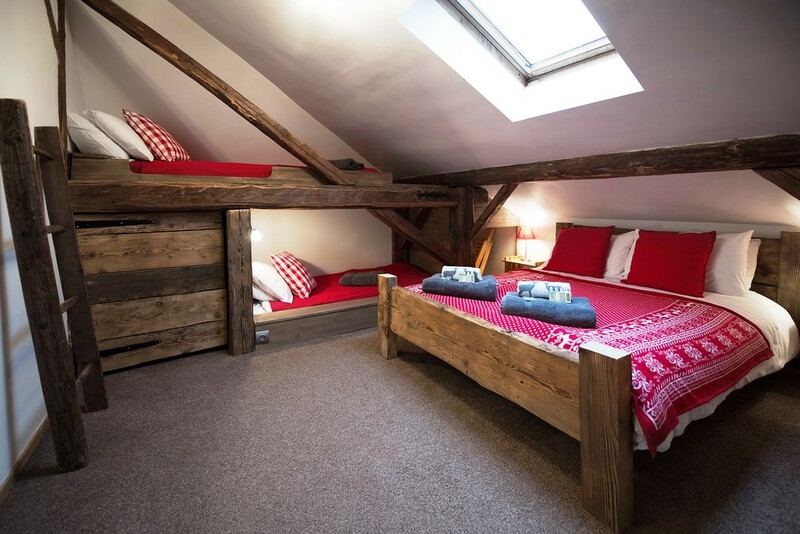 A newly renovated farmhouse dating from 1890 in a sunny area between Morzine and Montriond, in an area with other traditional buildings. 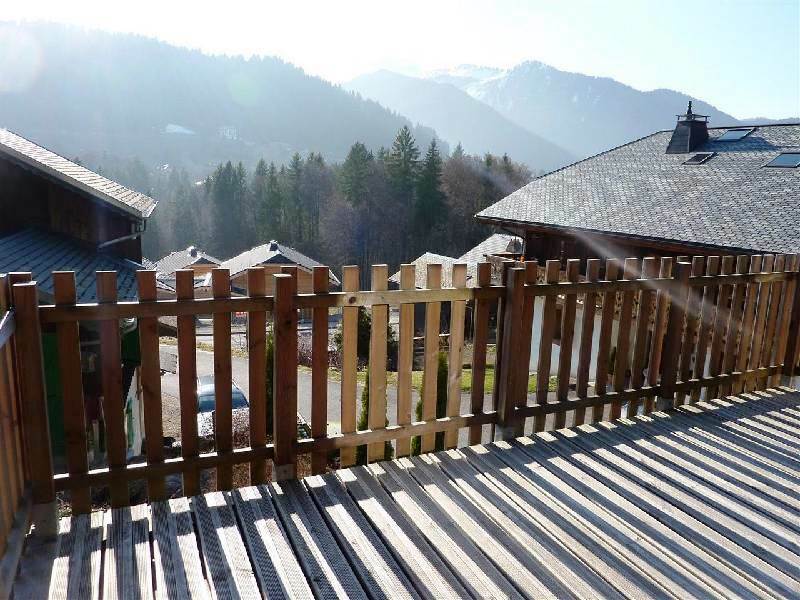 This is a great location and a 10 minute flat walk takes you to the centre of Morzine resort, while a 5 minute drive takes you to the skilifts. The main part of the house is laid out over 3 levels with a superb dining room and two sitting areas on the ground floor, 5 double bedrooms with shower rooms on the first floor and on the top floor 3 more bedrooms and two bathrooms. 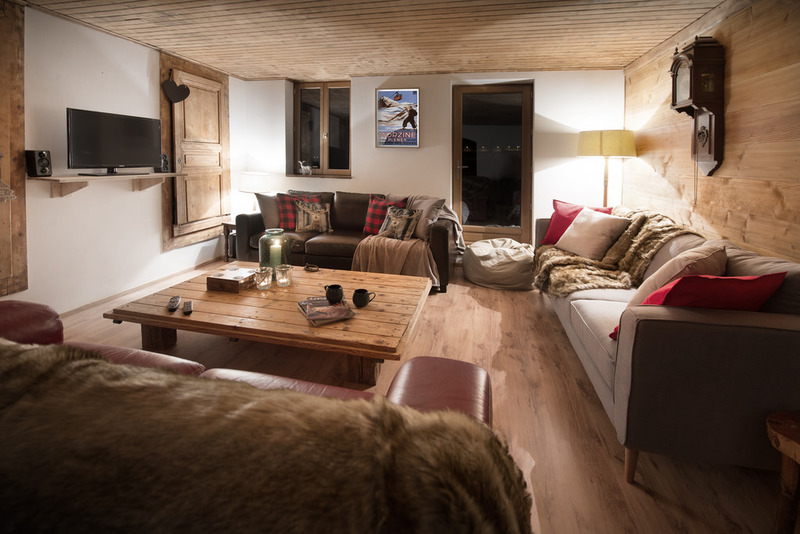 The chalet has a modern feel with charm and character; the original beams have been retained next to a contemporary finish and luxury touches. The chalet faces south with restful views over the valley of the Dranse river and outside is a wooden deck and a flat garden. There is garage space for up to 3 vehicles and also room to park 3 vehicles outside. By the entrance to the chalet is a useful boot room. There are two living rooms, one could be used as a TV room or an office. 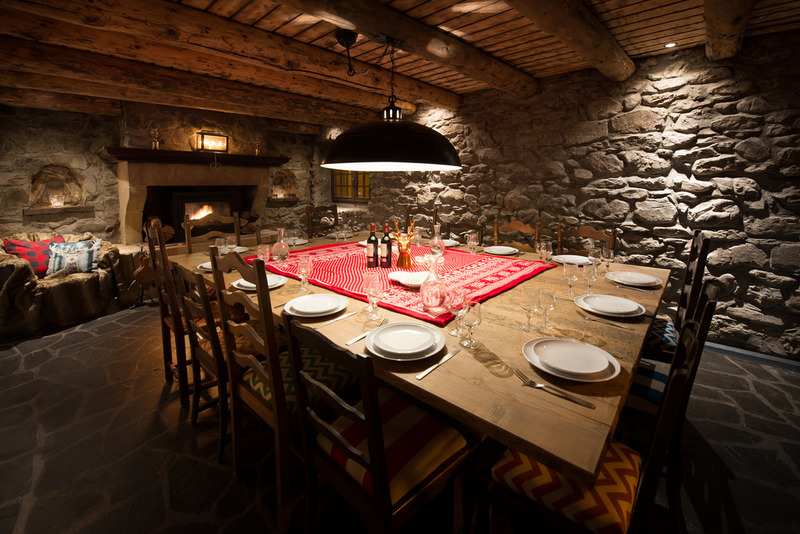 The large dining room has beautiful original exposed stone walls and a log fire, it is full of alpine atmosphere! The kitchen and a guest WC complete the accommodation on this floor. 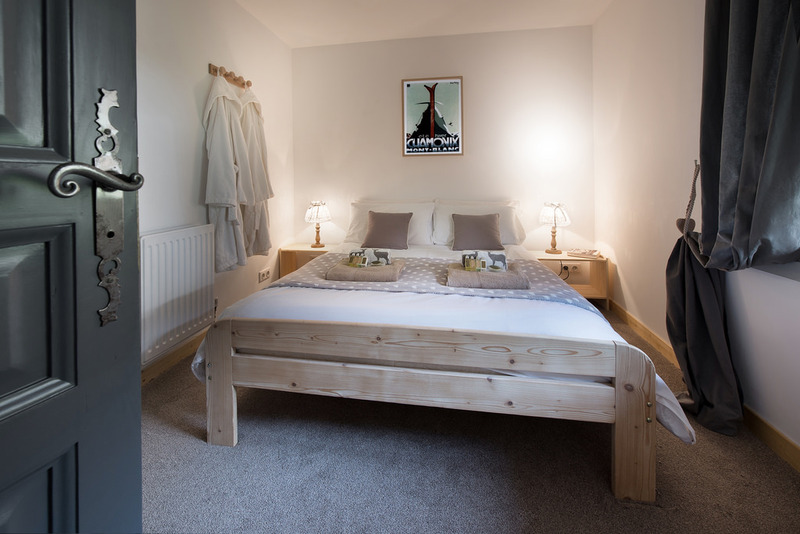 Here there are 4 double bedrooms with ensuite shower rooms and a 5th bedroom with its own private shower room. 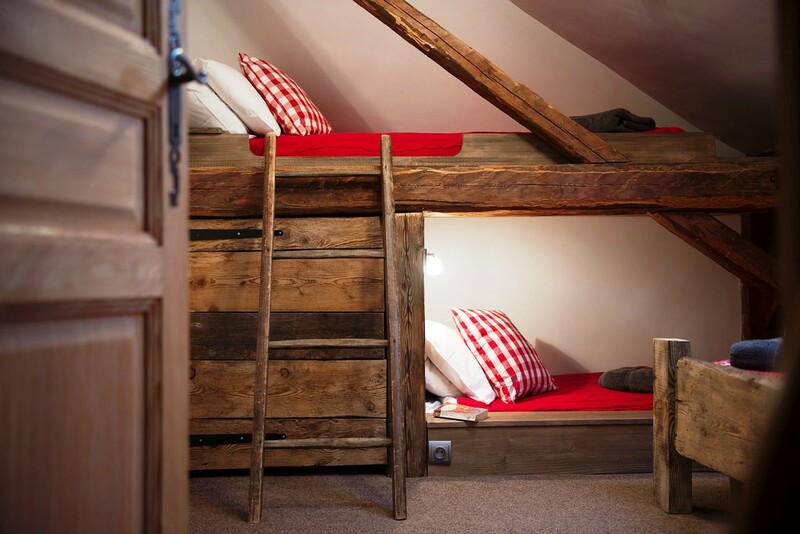 On the top floor there are 3 delightful bedrooms under the eaves with specially designed bunks built in to the old beams of the building. 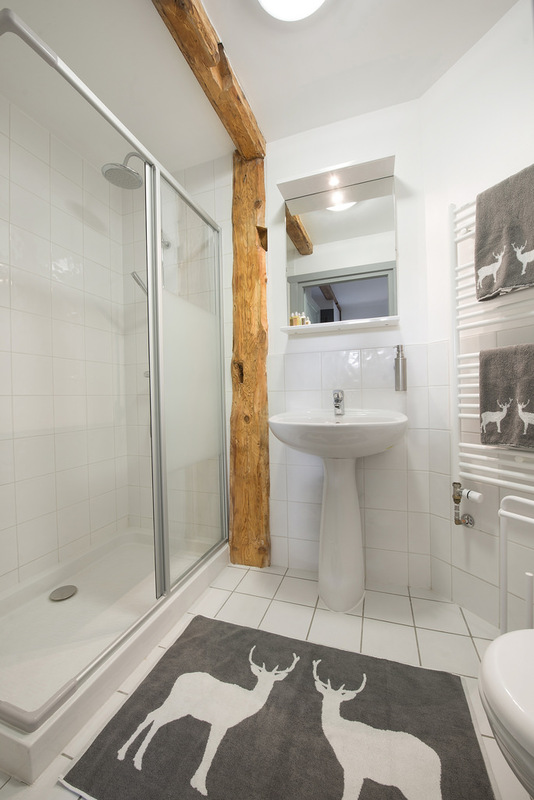 These 3 bedrooms share a bathroom, a shower room and a WC right next door. A self-contained apartment with two bedrooms. There is a south-facing wooden deck and a flat garden. In addition a garage for 3 cars and outdoor parking for 3 more. 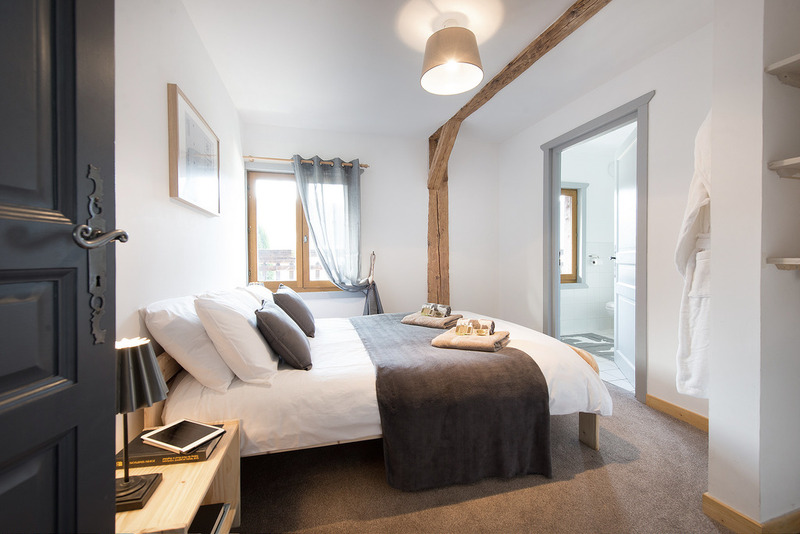 Montriond is a pretty and popular village in its own right, but is more and more being considered a suburb of Morzine as it is just a few minutes drive away and on a free bus route. 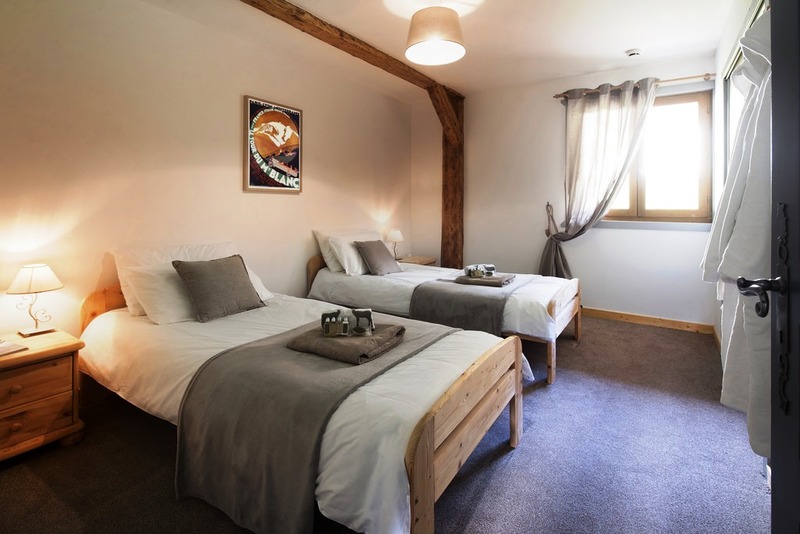 Montriond is a pretty and popular village in its own right, but is more and more being considered a suburb of Morzine as it is just a few minutes drive away and on a free bus route. There is easy access into the heart of the Portes du Soleil ski area from Ardent, just a 5 minute drive/free ski bus trip away from Montriond centre, where there is a large car park and very effective cable car into Lindarets, a wide open bowl, perfect for beginners. From here 3 high speed chair lifts whisk skiers to Avoriaz, Chatel and the Swiss resorts of Morgins and Champery. A blue run brings skiers right back down to Ardent at the end of the day where a popular bar makes a good meeting point for an apres-ski drink. For cross country skiers, there are beautiful, wooded tracks around the beautiful Lac Montriond. 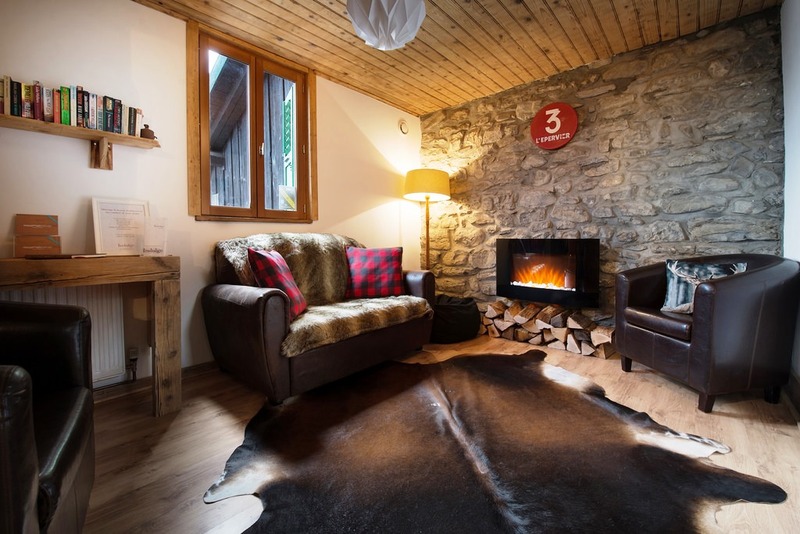 There are a few restaurants and shops in Montriond, and it is ideal for people looking for a holiday home with easy access to the skiing or walking / mountain biking, but without being too close to main bars, restaurants and nightlife. In Summer, Lac Montriond, between the village and the main lift at Ardent is very popular in summer for swimming, canoeing and for the annual 'son et lumiere' fireworks display. The nearby goat village of Lindarets is a popular summer day out; children love feeding the goats which wander freely round this summer pasture village.